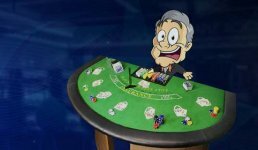 Let the Casino Veteran help you stay safe when using online casinos. 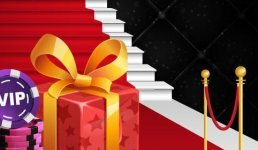 Casino Veteran > Guides > How to stay safe when gambling online ? One of the key concerns that some people have with online gambling is staying safe. This concern is only natural, as it is the players’ money and personal details that are on the line. Losing money on a game of blackjack is one thing, but having an online casino lose their bank details or having hackers steal their data is quite another. 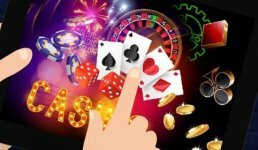 Luckily, online gambling is actually very secure, with all the reputable online casinos taking their responsibilities in this area very seriously. Most players will gamble safely online and have no problems at all. Of course, that is not to say players shouldn’t take the time to find out how to stay safe when gambling online. The first tip is to only play at reputable online casinos that are fully regulated. All reputable online casinos will hold a gaming licence to operate and will have details of this on their website. It is crucial for players to check for this before creating an account. A regulated casino will treat players fairly and will be held accountable by the relevant authorities if any issues arise. 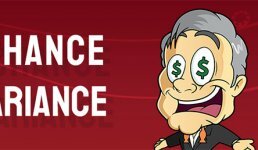 In addition to this critical concern, be sure to evaluate the reputation a casino has in the industry. Check out online reviews and see if they are one that people recommend. It is essential for any online casino to ensure that it has security in place to protect their players. After all, nobody wants a casino that is easy for criminals to hack and steal sensitive personal details. Look for an online casino that has the latest SSL encryption technology in place. This technology means that all players’ details are encrypted for full protection in the event of a malicious cyber-attack. Passwords are a classic example of this – the best online casinos now will store players’ passwords in an encrypted format to keep them secure from prying eyes. In this way, they make sure only the people who are authorised can see players’ personal details. This tip should not be a problem if players make sure to use a reputable casino. The best online casinos will only use the safest and most trustworthy payment methods available. However, it is still worthwhile for players to keep this in mind when they are paying money in or taking it out, especially if using new online casinos. Only use trusted and well-established payment methods, such as Skrill, Visa, PayPal or Neteller. Even new payment forms, such as bitcoin, are fine as long as they are credible and reliable methods. The ones to avoid are any that players have not heard of or know are not secure. This is one area in online gambling that some players often complain about. However, an online casino that asks for an ID before allowing players to make their first deposit or withdrawal is actually a good thing. It proves that the casino takes its online security seriously, as well as helping to protect players accounts. By taking these steps, players can stay safe when online and know their accounts are secure. One of the worries that some people have expressed about online gambling is the financial problems gambling can cause. To stay safe when gambling online, players should always be aware of this potential. If a player ever starts gambling money that they can’t afford to lose or lets their behaviour become affected by their gambling, they need to recognise this and get help. Players should set a daily or weekly limit on what they will spend on gambling and stick to this. It can also be helpful to set a schedule so players only gamble for a set time each day or on certain days. This procedure can stop gambling from taking over their lives and help keep them safe. If players ever do feel out of control in this regard, the online casino should be able to provide help, as well as providing links to external organisations, such as GambleAware. Logging on to enjoy their favourite game should be a fun and rewarding experience. Players who remember to follow the above tips and practice basic internet safety practices will be able to do this. Casino Veteran has been around for a long time and knows that online gambling is fundamentally safe. Very often, it is a simple as doing some research, choosing the casino to play at wisely and remembering to be aware of any problem gambling issues if they arise.